Do you desperately need a new spring wardrobe but don’t have the funds? 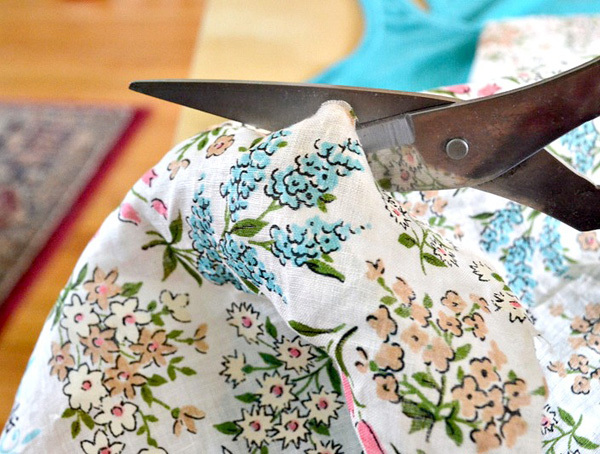 Create a few statement pieces yourself with this ruffled-hem DIY! 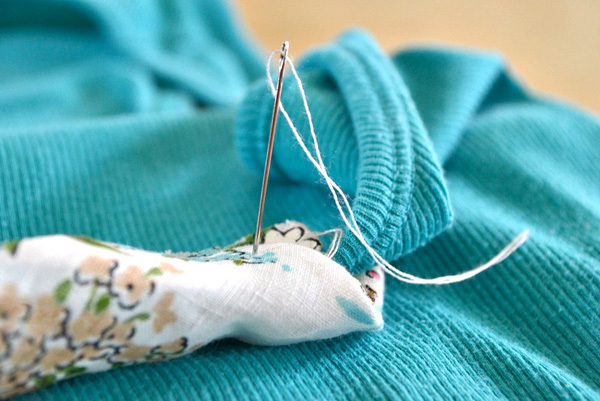 Using just a few bright handkerchiefs, an old tank top and a sewing kit, you can make your own one-of-a-kind spring tank top that is adorable on its own, under jackets and tucked into pencil skirts. Soon your friends will be asking you where you got such a cute tank! 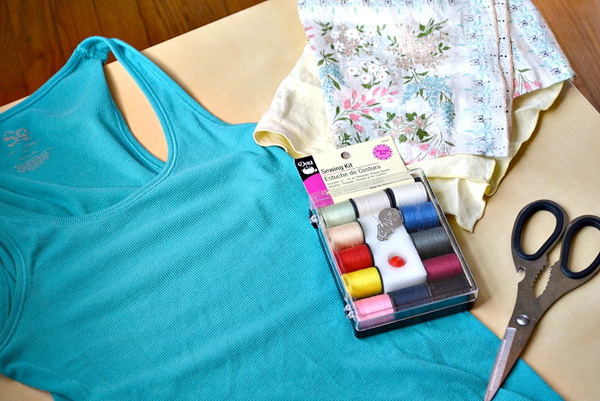 This is the perfect way to spruce up your old tank tops for less than $5. 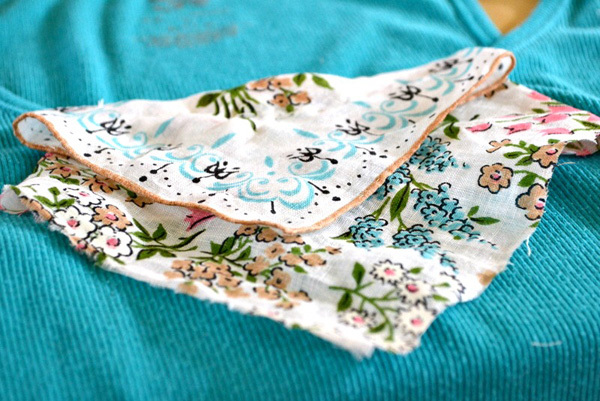 Plus, you can get as creative as you’d like and use different colored and patterned hankies. 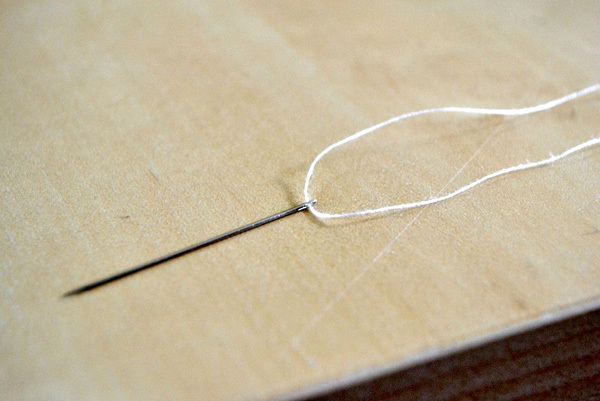 For added sparkle, string a beaded necklace along the hemline or add a few rhinestones. You want the downward triangle shape so you can layer a few different sizes on top of each other to create a ruffled look. 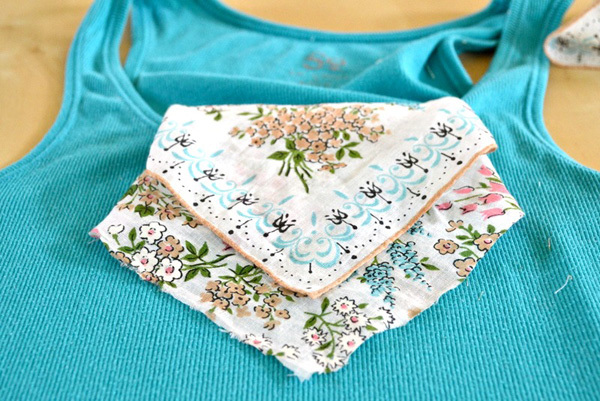 Set the handkerchief against the tank top and lay them both on a flat surface. 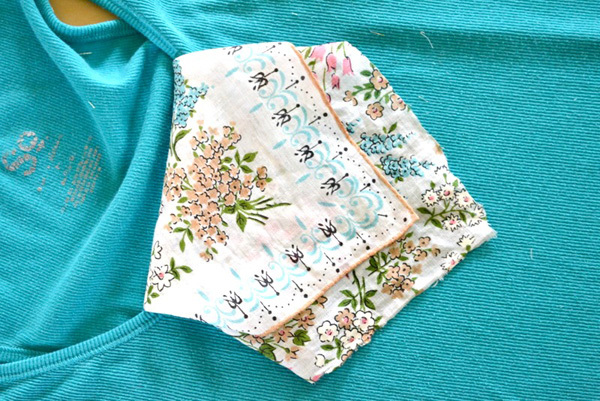 Fold the bottom of the handkerchief over the hem of the tank top. 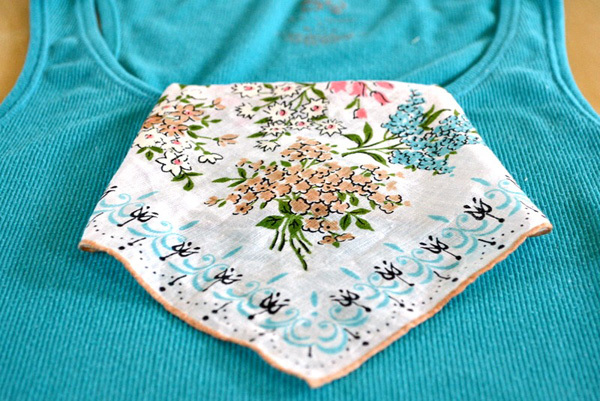 Turn the tank top inside out, carefully holding the handkerchief in place so it doesn’t move. 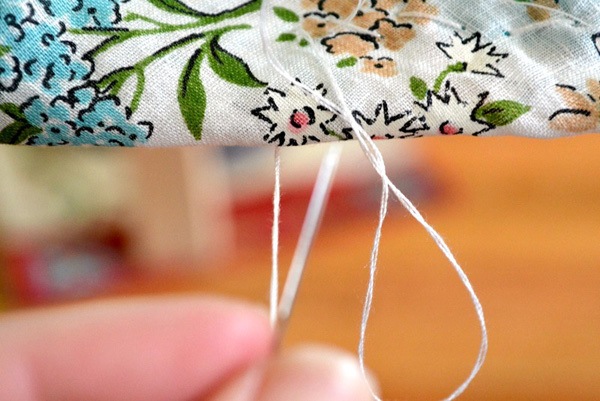 Thread your needle and start sewing the folded handkerchief into the inside hem of the neckline. 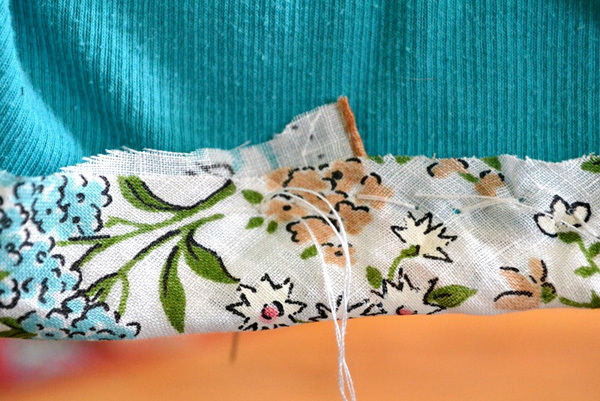 Lay a second shorter layer on top of the longer layer that’s already been sewn on. Repeat steps 2 and 3 with the shorter layer until it’s securely sewn on. 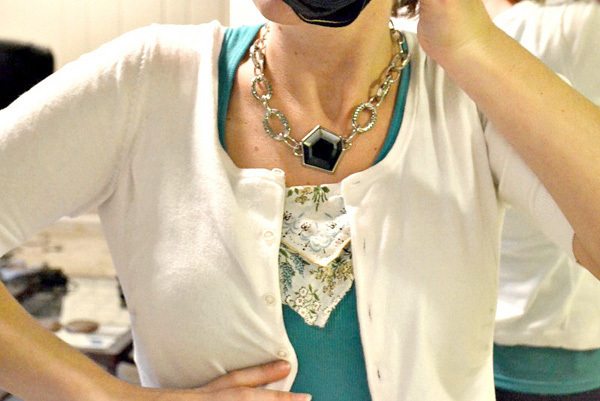 Make sure the hankie is well-secured and wear with your favorite jeans, skirt or shorts! Who doesn’t love a DIY you can wear?